I am one of the older founders in the start-up world. As a 50-year-old, I’m aware that opportunity doesn’t come around that often and I’m thoroughly enjoying the adventure I’m on. "The biggest challenge in the banking industry today is providing a smooth customer experience"
My fintech journey started in 1999, when the brokerage firm I was working for was purchased by E*TRADE, one of the first online brokers. At the time, financial advisers depended on human relationships to earn their living, but disruption – in the form of technology and changes in market structure – was coming. Electronic trading broadened everyone’s access to markets and flesh-and-blood financial advisers were being taken out of the equation. Back then, I didn’t realise that I was already part of what would become the fintech revolution. It was a great experience to be part of a business that was transforming an industry, and that experience inspired me to create my own start-up – Bambu. The inspiration came primarily from my years of experience in financial services and witnessing a need going unanswered. During my time as a consultant at a stock trading and robo-advice service, I saw a demand for B2B robo-advice from financial institutions, but at the time there was no solution available. That pushed me to start my fintech venture in robo-advice. The biggest challenge in the banking industry today is providing a smooth customer experience. This is where Bambu comes in; we want to enhance the banking experience by providing an easy and enjoyable user journey. We use robo-advice software and algorithms to manage customers’ assets and suggest investment solutions automatically. What is the most important lesson your fintech journey has taught? I have learned that selling B2B products requires marketing and momentum. These are the most important characteristics when growing a business in the digital age, in comparison to the old days of cold calling. When we cold call a potential client, we are starting from nearly ground zero. However, when a client calls us because he has seen our brand and name from our marketing efforts, we are starting from a much better place. 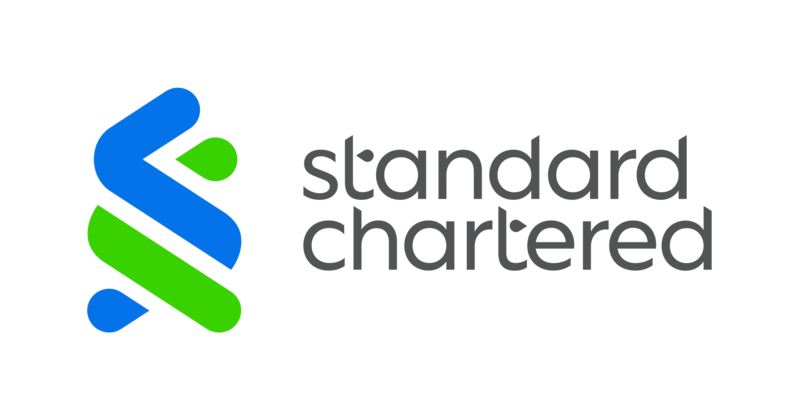 How does your partnership with Standard Chartered work? We were introduced to the team during an event called SuperCharger FinTech Accelerator, as Standard Chartered sponsors the programme. In April this year, we began building a proof-of-concept product with the bank to improve the efficiency of wealth management with a platform that provides relationship managers with information in real time. "The phrase, ‘build it and they will come’ could not be more wrong. You have to go out and get people interested in your services"
This partnership, with a significant financial market player like Standard Chartered, has opened new gateways for Bambu – from the possibility of developing an actual platform to gaining brand exposure. It has also provided us with opportunities to put our team and skills to work in real situations, as compared to many start-ups who might still be in the prototype stage. The Bank’s large clientele and experience are key points a start-up like Bambu can benefit and learn from as a growing company. What tips would you give to fintechs that want to work with a bank? As a B2B solution provider, be aware that businesses are always looking for new technologies. Pay attention to the customers’ pain points and make a connection with your service. Strong customer service translates into a successful product. When working with a bank, don’t assume you know what the bank wants. We have previously gone into engagements with the presumption that our primary product is here to provide a certain kind of solution, without really listening to what the bank’s needs are. Always go in with an open mind and listening ears. This will help you reach more bespoke solutions, and come up with better ideas. The phrase, ‘build it and they will come’ could not be more wrong. You have to go out and get people interested in your services. I am the founder of Bambu but also the chief of sales, as well. I have not lost the passion for sharing the idea behind the business. It is about doing hundreds, if not thousands, of meetings and pursuing success. Fintechs face pitfalls like any company, but the pressure is on at the start in particular. Too many start-ups pitch 100 times, get no deals, then give up. You should aim for at least 1,000 pitches, and never give up. Bambu was one of the finalists in the second iteration of the SuperCharger Fintech Accelerator, which is a 12-week programme, sponsored by Standard Chartered, for early stage and established fintech companies, providing growth tips, mentoring and joint venture opportunities.